This is what it looks like when your heart is no longer your own. This is what it looks like when you hold your baby according to a schedule, not according to her cries. This is a picture of lives consumed with the beeps, wires, and medical jargon of life’s Plan B. Each of us has our own path to walk, and while it may be rocky and terrifying at times, most of us will never know the anguish and helplessness that Hannah’s parents have lived for the last two months. Nor will we ever experience the depth of peace and comfort that has been poured out from Heaven to fill and cover that fear and anxiety. 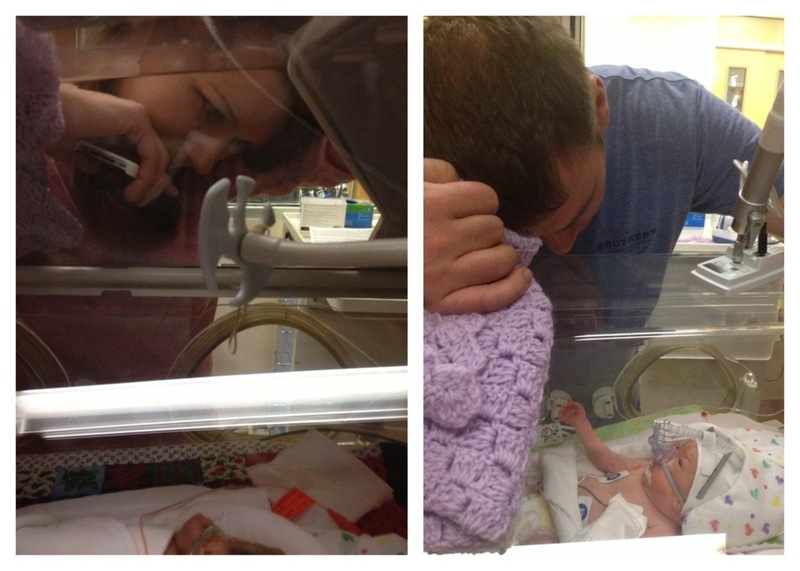 There is one other thing that they have experienced in the days since Hannah’s birth, the power in prayer. 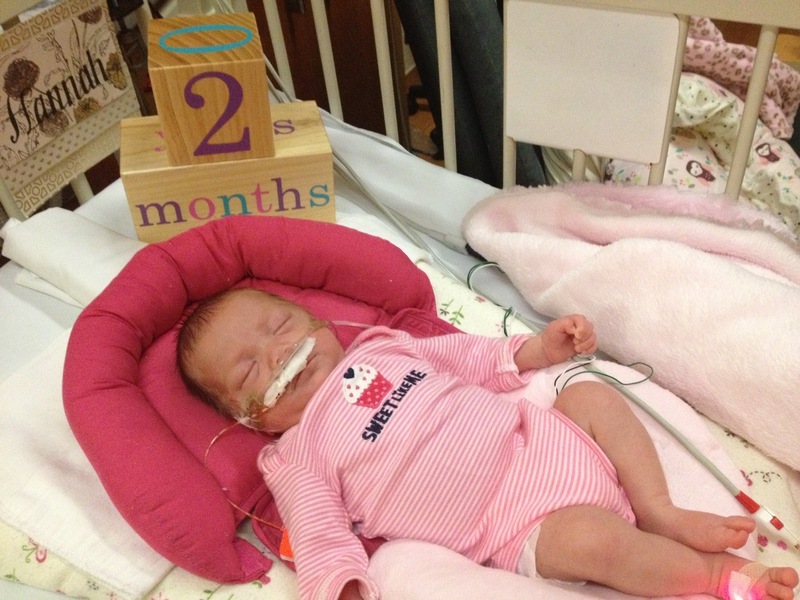 This tiny little miracle, this sweet little baby, now two months old, is doing great work for the Lord. In those same two months there have been middle of the night calls from the hospital that have produced bleary eyed mornings. There have been tears of fear, joy, and exhaustion. There have been moments when they thought their hearts would absolutely break. They have been doing the dance of two steps forward and one step back, all the while pulled ever closer towards God’s promise of rest and protection. There are days when They are discovering exactly what it is to be held by God. Oh God, how I need You . Are you in a valley? You are not alone, so do not be afraid and cling to the grace of God, find your inner “Hannah-tiger” and be assured you can make it through. We still pray for Hannah every night! 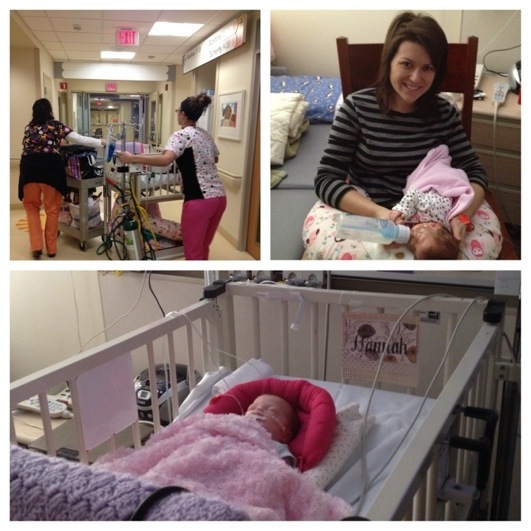 Her pictures help us remember our Haddie’s time in the NICU and that we need to continually thank Him for our miracle. Thank you for sharing! 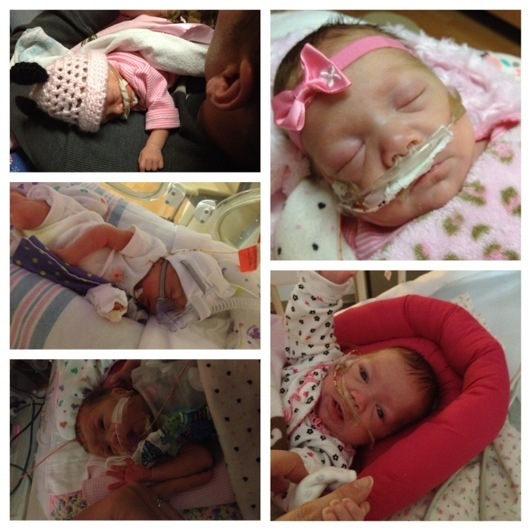 She is such a fighter and a beautiful little girl. We will continue to pray for her growth and strength! Thank you so much! 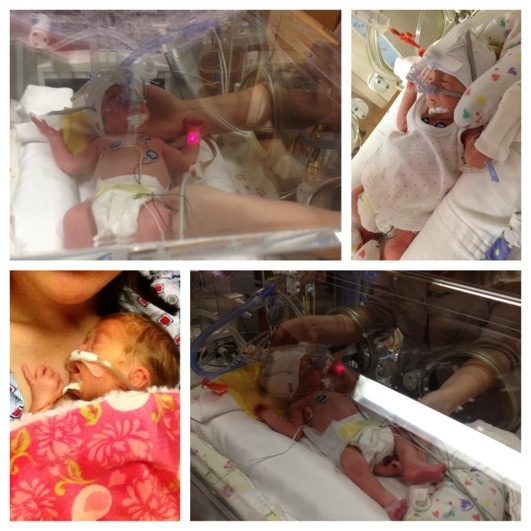 You understand the power and importance of prayer having experienced the highs and lows of the NICU and having your own remarkable story.